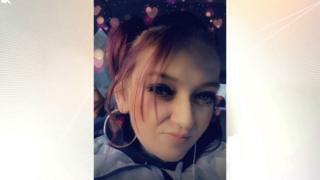 A woman in her 30s who died following a fight in Rotherham on Wednesday has been named as Becky Moody. Ms Moody, 34, was found unconscious outside a house in Cedric Crescent, Thurcroft, on Wednesday night, following reports of an altercation. South Yorkshire Police said she was found in cardiac arrest and treated by medical staff, but was pronounced dead shortly after. Further tests will be carried out after a post-mortem proved inconclusive. A 39-year-old woman was arrested in connection with the death and later released on bail. South Yorkshire Police said inquiries were continuing and appealed for anyone with information to come forward. Ms Moody's family asked that their privacy be respected at this difficult time.